MK II, "This time is a....." What? WHAT? Hope you just took a nap?!? That abrupt ending can be blamed on an Amazon Fire and so far Doka there's been no recalls. Atrial fibrillation is caused by spinal vertebrae between T 3 & T 4 pinching the nerves to the heart! I hope it keeps typing now. Chelsea Clinton was in the TV news briefs today. There was no mention of her relationship via marriage to George Soros. Maybe it's not true. I' m just glad you are OK! I love my Samsung tablet! I have worked it hard every day for 3 years, when it goes by by, I'm marching out for one just like it. What's the plan for the pinched nerve, MK II? Can't have you out there driving truck at half power! Da plan? Da plan? It's using meds to get my heart in sinus rhythm, however it works, but as normal it's not a cure for A-fibb. But using just $360 per month my T3 & T4 vertebrae can be spaced properly just like they were for over 67 years of my past life! Money wise there's no comparison since this single bed room will cost Aetna Insurance $40,000 for 4 days! Not counting all the extras! The cherry wood paneling and the red oak flooring was all fake via high tech plastic/vinyl. Also you could read a newspaper through the toilet paper! On topic: Doka, Maybe I should delete the SSoros C Clinton Twitter sized poster a few pages back. All those Twitter generated cartoons start from scratch inside a PC so total fake is always an option! Last edited by Malaria_Kidd II on 04-18-2017 08:52 AM, edited 1 time in total. YOU HAVE TO BE KIDDING!!?! Chuck Grassley, Chairman of the Senate Judiciary Committee, would very much like to understand why Hillary Clinton and 6 of her closest "research aides" may still have access to classified State Department information despite FBI Director Comey's assertion that they were "extremely careless in their handling of very sensitive, highly classified information." And, after sending numerous requests to John Kerry's State Department that 'shockingly' fell on deaf ears, Grassely has sent a letter to Secretary of State Tillerson asking why Hillary's security clearance hasn't yet been revoked given that "any other government workers who engaged in such serious offenses would, at a minimum, have their clearances suspended pending an investigation." 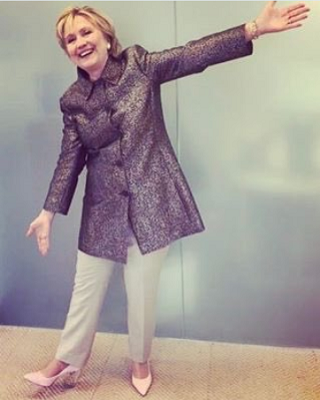 Clinton appeared in a photo on Katy Perry’s Twitter account sporting a pair of pumps the “Chained to the Rhythm” singer says were inspired by the former sec. of state. “POWER PUMP your way over to katyperrycollections.com for the last few hours of the spring 25% sale @HillaryClinton is wearing #TheHillary,” Perry wrote to her 97 million Twitter followers. It is the first public pairing between Clinton and Perry — who was a vocal Clinton celebrity consigliere during the presidential campaign — since November, when Clinton presented the pop star with a humanitarian award at the UNICEF Snowflake Ball. Clinton relied on Perry to court young voters throughout the presidential campaign. The pop superstar also performed in Philadelphia just days before Election Day, and again just hours before Clinton’s loss had become obvious. OMGosh it'll be classic rap someday and what a find and more on the side at You Tube. Much obliged amigo from the dairy state of Wishconsious! That was a great contribution bookmarked faster than you can say Jack Sprat! 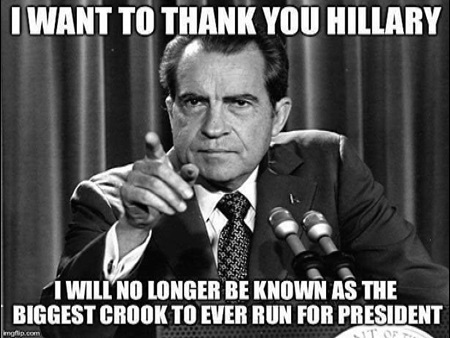 Now President Nixon is off the hook thanks to her! That news is out there if any member finds it before I do please post it here. I'm sure there are no suspicious circumstances surrounding his death. I did not click it to read it but I should have brought the link here. You deserve a medal posting that video and I'm still ROTFLMAOff How in the holly heck did they do that lip syncing so perfectly? Friend or Foe apparently, makes no difference? Hi kbot, what'd I miss that messed with your lunch? Thanks for the 2 links Doka and sadly they're die'n like flies! Col. Allen B. West reports on another one from Twitter today! The Haitian whistle blower is also mentioned well down the page. Former Congressman West's Tweet......there's no end to the madness! It's good that so many involved in their many publicized scandals are alive today. The latest Rasmussen Reports national telephone and online survey finds that just 30% of Likely U.S. Voters believe Clinton still has a future in public life. Sixty-one percent (61%) say it’s time for her to retire, up from 55% just after she lost the presidential election to Trump last November. Forty-four percent (44%) say the weakness of her candidacy was the most likely reason for Clinton’s loss last November. Just 11% attribute the loss to the strength of her opponent. Forty percent (40%) still agree with Clinton that outside factors beyond her control were the most likely reason, but that’s down from a high of 44% in May. Most voters still believe Clinton is likely to have broken the law in her handling of classified information as secretary of State and disagree with the FBI’s decision to keep secret its files on last year’s Clinton probe. “Well, they don’t have to buy my book, and they can turn off the radio when they hear me talking. 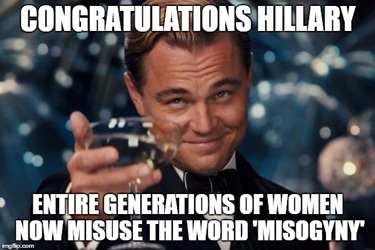 I’m not going anywhere,” Clinton said.